The perfect Disaster, Hurricane, Earthquake, Survival Preparedness Food!! 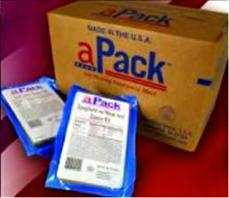 Tired of paying to much for quality MRE's? Sick of hearing that your supplier is out of stock? Frustrated by seeing non-military items in your MRE's? Then it's time to swicth to MREdepot! Stop wasting your money on old stock or home-made Meals Reday to Eat and start purchasing MRE's made by the Nation's largest manufacturer of Military MRE's for the Department of Defense. Whether you are purchasing retail or wholesale, for family, disaster or emergency preparedness, or for wilderness survival preps, hunting, camping, hiking or as a safety food item for long term storage on your boat, car, off-road vehicle or RV - we have you covered with the highest quality military style MRE's. MRE's are a ready to eat food source widely used by our military forces in combat situations and require no refrigeration. They are ready to eat right out of the pouch, with no cooking or rehydrating necessary. Long adapted to civilian use by those who saw the value of have a fully prepared meal that they can take on the go, MRE's have gained in popularity over the used. This has lead to supply shortages and over charging by some vendors. With the hurricane season of 2005 behind us, MREdepot has entered into long term contracts with the largest provider of military MRE's so you will never be over charged or out of stock again. A perfect addition to MREdepot's full line of canned butter, canned cheese, canned meats, freeze dried foods and other shelf stable items, MRE's have been the primary food source used by disaster relief agencies when responding to natural and man made disasters. Copyright � DiscountMRE 2006. All rights reserved.